So the MLB all-star game is over. I know there are plenty of Yankee haters out there but what Mariano did was pretty cool. We still have a couple more days until the comment contest is closed. Watch the “How to hit a baseball with two strikes” video and let me know in the comment box below what your approach is with two-strikes to win a free copy of “The Way of Baseball” book. 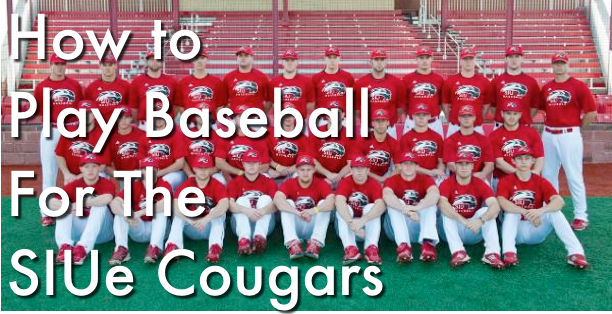 So you want to play college baseball for SIUe Cougars? Well Danny Jackson will share with you what he thinks makes a good ballplayer and also shares his story of how he got into baseball. Thanks Danny for stopping by! Previous post: Crush The Ball Like Chris Davis & Make It Look Easy.